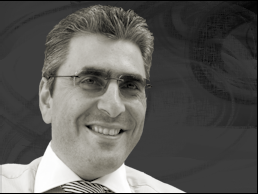 Michael Samonas is currently employed at SIDMA S.A. as Group’s CFO. Born on the 4th of July 1968 in Greece, Michael has an analytical approach, is team player, has good inter-personal skills, ability to work under pressure and passion for results. Michael, in parallel with his professional work, had been instructor for many years at the School of Business & Economics of University of La Verne, Athens Campus up to 2004 where it ceased operations in Greece.He is currently Instructor at American College of Greece teaching a workshop concerning Financial Modelling. His interests lie in the field of Business Analysis, Modeling & Planning. Advanced Academic and Professional qualifications in Engineering, Marketing,Business Administration and Finance. In-depth understanding of market trendsandcompetitive strategies along with the ability to evaluate them using different analytical technique. Consultative experience in Financial Modelling & Corporate Valuation Techniques. Vizzavi Hellas as a Head of Finance. Hellenic Telecommunications Organization, OTE S.A. as a presales engineer in the General Commercial Division/ Key Account Management. STAT S.A., as a presales engineer in the Marketing department. Educational Centre of Hellenic Telecommunications Company - OTE S.A. as part-time lecturer. Institute of Industrial and Professional Training as course co-ordinator. School of Electronic Engineering, Information Science and Mathematics, University of Surrey, Guildford, UK.